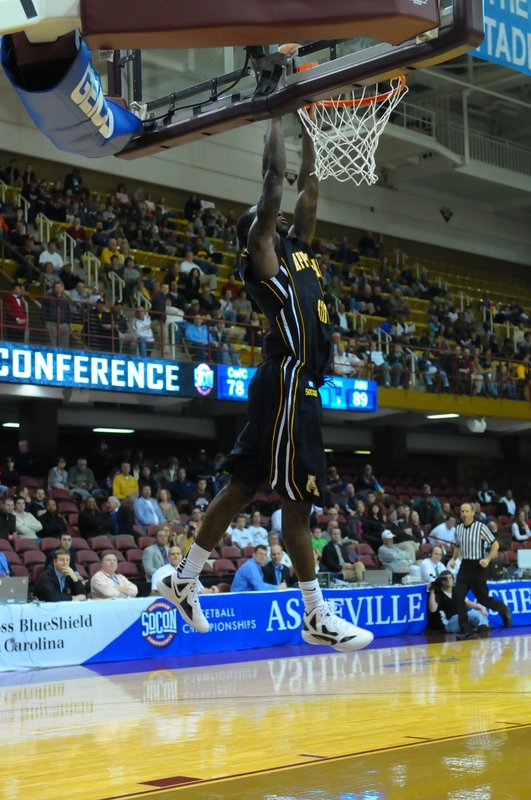 Appalachian got big games from three seniors and scored the most points in a game on the season in a 93-81 win over College of Charleston. Omar Carter started the game, and despite shaking the ill effects of what could have been a cold, managed to score 19 points and grab five rebounds. Speaking of rebounds, Isaac Butts grabbed fourteen of them while scoring eleven points and Andre Williamson grabbed fifteen rebounds and chipped in ten points. The contributions of these seniors single-handedly outrebounded Charleston by themselves. For the game, the Mountaineers outrebounded Charleston 50-31. Next up for the Mountaineers is UNC-Greensboro, the North Division champions. Greensboro lost their last three games of the regular season, but won the division with late season losses by Elon and Samford. The game will be a battle of strengths as the Spartans have on the leagues premier backcourts while the Mountaineers rely on their inside game to open up shots on the perimeter. Great day for Mountaineers. Big C and company will be in the house Sat. Watch on ESPN3 if you can’t make it.